With its nourishing oils, its intoxicating scent and its ability to cover up grays, our Blackout Pomade 4oz is quickly becoming one of the most coveted products that we’ve ever created. Its water-based formula doesn’t feel heavy on the scalp. Plus, it offers the perfect hold for a variety of hairstyles. Our Check Out Our Blackout Pomade 4oz is an exciting new product thanks to its unique ability to temporarily darken hair while providing adequate hold and plenty of shine. 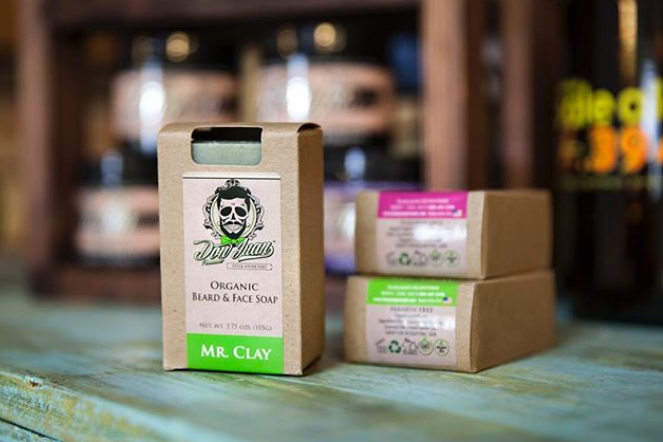 This water-based styling pomade uses natural ingredients to tint the hair, giving it a darker appearance while covering up those pesky gray hairs. This pomade offers a powerful hold so that you can style it in the morning and be good to go for the rest of the day. It also offers a medium shine so that your hair will look slick and healthy. Blackout Pomade does so much more than provide you with a flawless look. We use natural, organic ingredients to thoroughly nourish the hair and scalp. High-quality jojoba oil keeps your hair and scalp fully moisturized throughout the day. Botanical extracts like jasmine soothe scalp irritation while giving your hair a luxurious scent. Citrus essential oils stimulate the mind while reducing scalp inflammation that can lead to dandruff. To achieve the perfect look with our Blackout Pomade, simply scoop a little bit out of the pot and rub it between your hands before massaging it into your scalp and hair. This product can be applied to damp or dry hair. Then, you can use one of our signature Don Juan Pomade combs to perfect your hairstyle. Our Blackout Pomade washes out easily with shampoo. It’s important to be aware of the fact that our Blackout Pomade may stain bedding and articles of clothing because of the ingredients that darken your hair. It’s recommended that you take care to avoid getting it on your clothes while applying it to your hair and scalp. 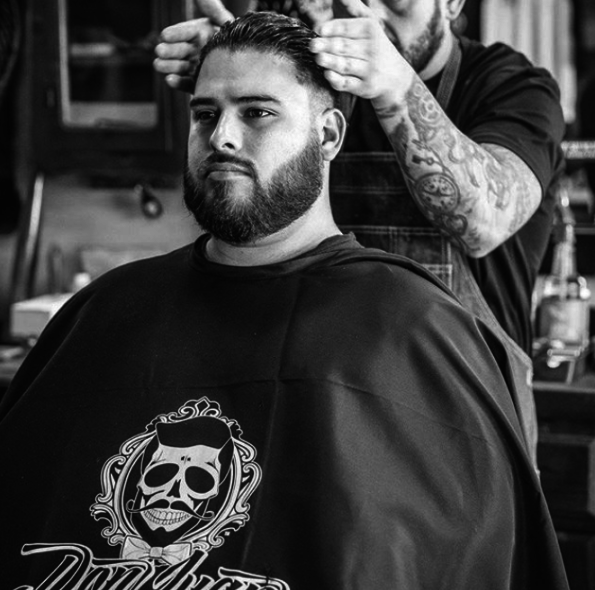 The Check Out Our Blackout Pomade 4oz at Don Juan Pomade is the ultimate styling pomade for men who want to enjoy a sturdy hold while tinting their hair. Made with the best ingredients around, this product will have your hair looking impeccable.